Stigma has been described as a sign of disgrace which distinguishes the person from others. In the context of mental health, it usually involves the use of negative labels to identify people as different. Stigma against those with mental health difficulties takes many forms from the unkind word, social exclusion to higher insurance premiums. This results in the person feeling devalued and may lead them to isolate themselves and conceal their mental health difficulty. Mental health stigma thrives on lack of knowledge and understanding, negative attitudes and hostile or discriminatory behaviour. 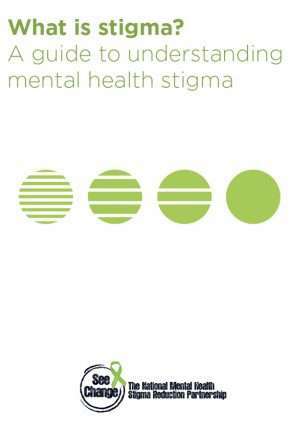 Click below to download a copy of our ‘What is Stigma’ brochure.